Ask Albie is inspired by our son, Albie. On January 31st 2015 our world turned upside down. 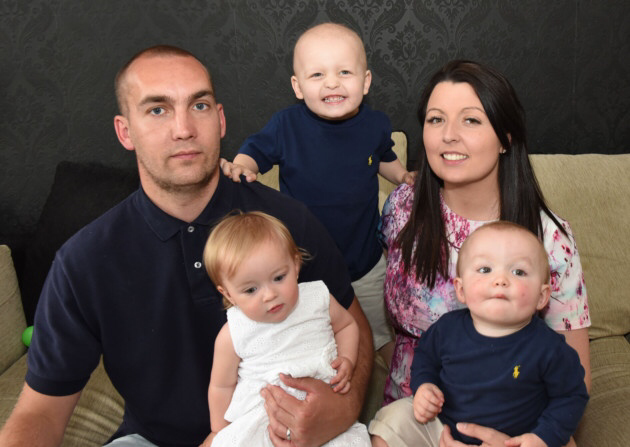 Our son Albie, two, was diagnosed with leukaemia. During our time in great Ormond Street Hospital we missed out on seeing our 1 year old twins, Lennie and Lola-Rose, grow and reach milestones, especially the day they reached their 1st birthdays. From meeting other families at GOSH, I felt like I wanted to help others. I then focused on fundraising to help me through this difficult time. ,,Ask Albie is a registered charity and our sole purpose is to grant Wishes for children who are battling illness and life threatening conditions in Essex. We believe that every child deserves a break from their illness, medication, hospitals and isolation. Although our Wishes are predominately for the children, they are also the whole family, we aim to create a treasured memory for all involved and, most importantly, create beaming smiles. We want to make a child feel special, believe in magic, forget reality and experience happiness and excitement. We also arrange away days, team dreams, and bring Wishes to homes, wards and centres.